Club Crawl is around the corner!!! 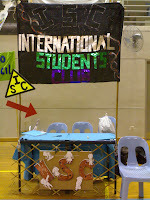 Dear International students!! Here is the chance for you to know our club, to join our club and to have fun with us!! 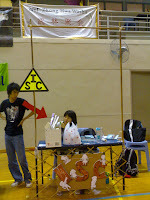 There will be our club members standing around our booth to introduce our club to you during club crawl. If you have any enquiry, just ask! And of course, if you want to be a part of our club, you just need to register your name at out booth to let us know you will be an active member in our club. Besides, we also have a performance at 11.20am. We have written a song for our club and we will form a choir to sing the bonding song during club crawl performance. The name of the bonding song is “Moment together”.